It is always great to see one of England’s oldest and traditional breeds, which dates back as early as the 16th Century, being considered for advertisements. With so much character and expression in those darling OB dog & puppy faces, we are sure, if chosen for your advertisement will be a massive hit. Let’s keep our heritage alive together and be proud of it! These are dogs that always captivate attention and turns hearts into mush …. 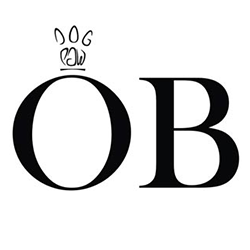 OB dogs & puppies– they represent loyalty and a man’s best friend. Getting consumers to notice your advertisement is the first task and the next is to engage them in a way that will be memorable. Seeing images of OB dogs & puppies evokes warm feelings and in turn makes the advertisement more memorable. What’s the best way to engage your customer’s emotions? You need to build an overall image of trustworthiness and what’s another way to engender a greater feeling of trust among your customer’s than an OB dog or puppy. For many of us, our dogs are vitally important members of the family, so when an advertisement features an Oliver Bulldog, the owners will relate to the situation and feel a kinship and begin to establish a connection with your company or brand being advertised. What’s the best way to convey connection and community among your customers? Oliver Bulldog puppies grab attention in a memorable way – this is an advert we can trust. As consumers we see ourselves reflected in the story being told by the advertiser which motivates us to choose the advertised company or product over others we feel less warmly about. That is OB puppy power! We will give you a run for your money & when you have made that important decision to call us for more details, you will have successfully scaled an incredibly challenging hurdle too. OLIVER BULLDOGS can do it for you too!